- Is made in France. - Is formulated to be : allergen-free, paraben-free and without any Phenoxyethanol (glycol ether) or MITs* (Methylchloroisothiazolinone, Methylisothia¬zolinone). *Ingredients banned by the EU for non-rinsed products in July, 2015. 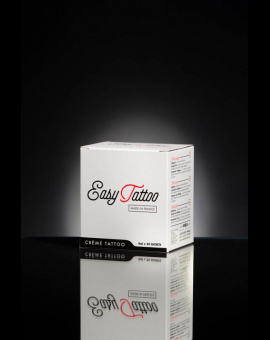 - Allows an increase of 62% in hydration levels of the superior layers of the skin after the first hour of application. (Study realised by the Dermatological Institute Idea). 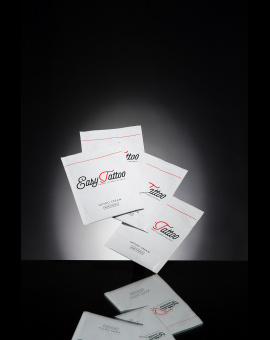 - Has an important restructuring action (after 3 days use) allowing for fast healing of the tattooed area. (Study realized by Biological Research Centre Bio-ec). 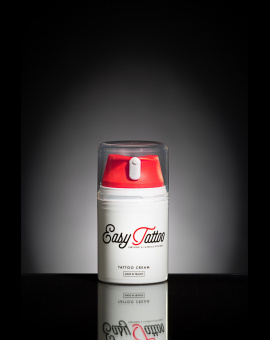 - Is conditioned in an Airless bottle (50ml and 100ml), an unbreakable airtight system. Prevents oxidization and guarantees the purity of the formula until its last use. 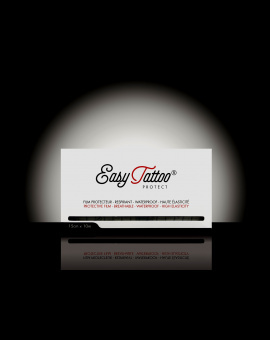 - Start by washing your hands with the Easytattoo® soft cleansing gel, rinse thoroughly with clean water and wipe carefully by dabbing with a clean cloth. 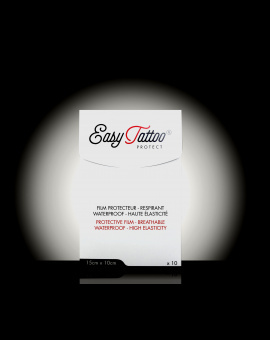 - Apply the tattoo cream on the clean and dry tattoo, massage gently. - Repeat this process several times a day to maintain hydration. 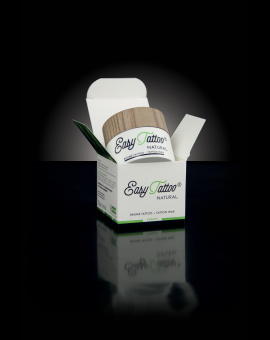 The Calendula extract found in the Easytattoo® cream is known for its soothing, softening and anti-oxidant properties and is ideal for dry and sensitive skin.